Known by the title ‘Honestly Alexandra ‘on Instagram and her blog but in everyday life, Alex Rodi is a down to earth mama who serves it up real on this insightful chat. 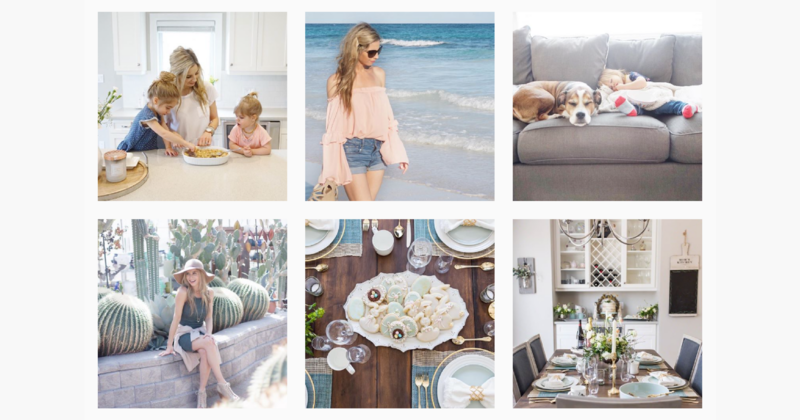 Her path of content creation and social influencer-ship sparked from an idea that many might have as a stay-at-home mom, but never truly invest in - a blog. It’s goal was to inspire similar women with children who wanted authentic stories, tips, tricks, products - you name it - of motherhood and the realness that comes with it. It’s been almost 6 months since Alex started partnering with brands to represent their products on her social feed and blog - but she believes it’s her authentic and genuine audience that makes her different. She’s not just posting to be paid, but rather posting and using products that she genuinely enjoys and thinks can help others in similar situations. Using ambiguous, copy-and-paste messaging is boring - regardless if they’re an influencer or not. In a world with less and less human interaction, people want to feel special. Warm the conversation up by liking, commenting and “getting on their radar”. When you do reach out, find the synthesis of their content and the goal of your campaign (i.e. do they talk a lot about the struggle of cooking? Compliment them with easy-to-cook products and/or gadgets). Referencing content you’ve seen on their social feed or blog is a way to acknowledge that you’ve done your research and you’re invested in a genuine relationship. When it comes time to kick off a campaign, most brands underestimate the energy and organization that comes with it. Mixing up names, locations or incentives can come back to bite you in the arse. Much like any relationship building on a grand scale, get to know them, take notes as necessary and track every step along the way with notes. Not all mommy bloggers are the same. Value these content creators time that they are investing in blogs, images, videos, etc. Make sure that your campaign has different options for incentivizing influencers because not every account is going to have the same following, engagement, content output and incentive ask. Some may want a few thousand dollars per blog post or social media exposure - but can they prove the reach, clicks, and impressions? Then it may be worth considering. Someone who has a smaller reach, higher engaged audience, and considers themselves a micro-influencer may want to work with brands simply to grow their following and credibility. Their cost is free and their relationship will last much longer. Micro influencers will grow with you, so make the effort to growing a relationship that will last, not a one-off type. People with bigger reach doesn’t always necessarily mean better quality. Finding the micro-influencers who have a reach between 10K and 100K are proven to have higher engagement with their audience and a more authentic message and reach. People trust people, but when you’re a celebrity or even social celebrity, the motive of their audience may change.